Trenell C has a 5-Star rating and leads the company in total reviews, making this pro a ReviewBuzz Rockstar! I am originally from Tennessee and have been in the industry for over 10 years. I am a father of two beautiful girls. Trenell Carter repaired my AC in a timely manner. Gave me some pointers on how to keep my unit running efficiently. I had a great experience with this company. I will call on them in the future a d I recommend you do the same. My experience with Trenell Carter was fantastic! Technically proficient and just a nice guy. 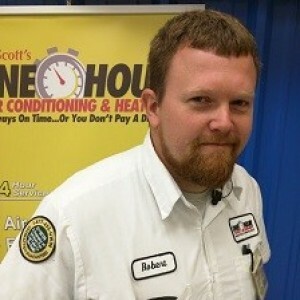 I recommend One Hour A/C to anyone in need of maintenance or repair. My impression is good, honest work. Totally satisfied! Excellent customer service, knowledgeable representatives! 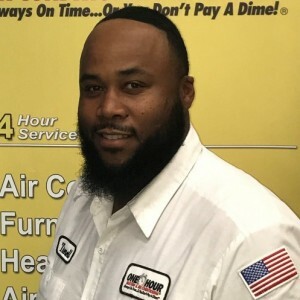 Trenell Carter serviced our unit and he did an exceptional job. He is friendly, courteous and professional. He knows his job! They are on time, professional and economical! We requested Trenell as he has provided excellent service and advice in the past. 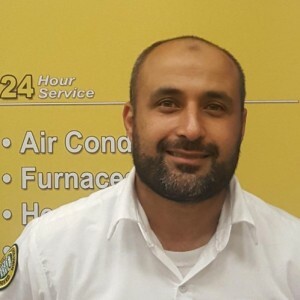 He did not disappoint, arrived on time, worked quickly, explained the comfort package, which we purchased, and scheduled us for our six months next service call. 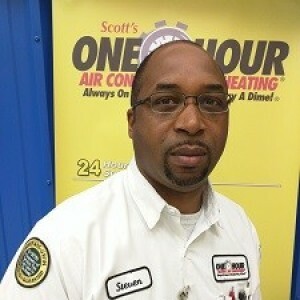 Trenel, the AC tech for One Hour Air, is very personable, professional, & competent. Trenell is outstanding - very friendly and certainly knowledgeable! We want him to do every maintenance check or service call, seriously, he is that trustworthy. Trenell was very professional, kind, positive, and respectful of my home. He informed me about the condition of my A/C unit and explained and showed me what he he was referring to when I asked. Trenell is welcomed back when I require a service call. Thank you. Very professional and delivered what they promised. Called on a Saturday evening for service and a service person was sent early Sunday morning to check unit. Service was completed by Monday morning. Very professional service. Outstanding, Tarnell was courteous, polite and reviewed everything he was going to do to service our unit. He took his time in checking all components even the best. He even heard and identified an issue with my neighbors AC unit and let them know. Saving them a cost if it was not noticed. Overall great job with One Hour and their service team. Had Trenell Carter out to do a pm on my a/c. Called ahead, showed up when he said he would, and did an excellent job on the pm. Take care of this guy. He's a keeper.